The guts, the glory, the gold. Olympics junkies everywhere will be keeping tabs on the Americans in Rio starting August 5th. The summer Olympics are dominated with major team events in sports such as soccer, basketball and beach volleyball as well as mixed individual-team sports like gymnastics, swimming and track & field. In events such as these, athletes compete for the team - as well as in individual events - trying to bring back as much hardware as available. Managers of today can take this momentous and global time to reflect on their current situation at their company and with whom they work. Teams in the workplace have a goal to outperform the company’s competition. But forming a high-functional winning team takes a little more than a common company address. 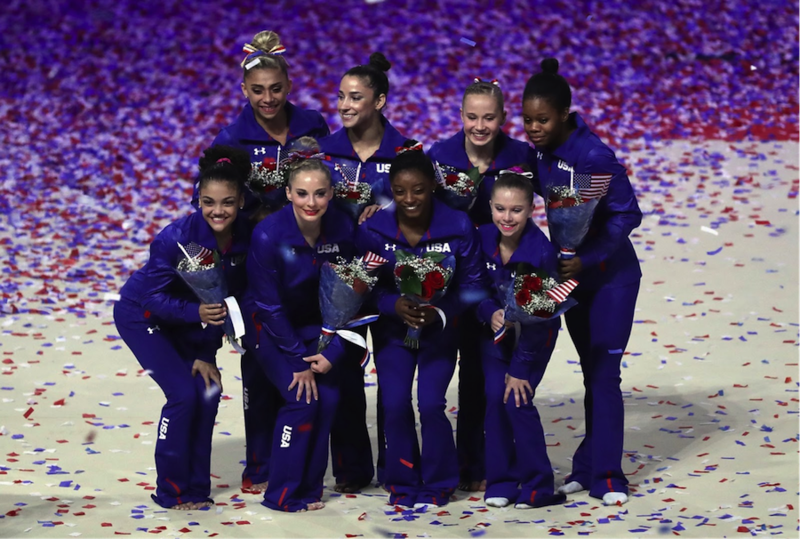 Use these 4 pillars of teamwork to assemble a gold-medal winning team. Increasing the stakes can be a jolt of energy the team needs. Whether it is an individual bonus, a team prize or bragging rights, sweeten the deal a little bit. Think outside of the box: 70% of business transformation efforts fail due to lack of engagement. Want to boost morale to a one-person team? See if your employee can improve upon his or her time to completion or decrease the amount of edits received. Even if it’s against oneself, a little competition is healthy! Grouping together a team of unliked minded individuals is becoming the norm for forming better producing teams. When a diverse team can outperform a top performing, homogenous group by up to 6 times, placing individuals with different backgrounds, areas of knowledge, works experiences and demographics can form a well-rounded team ready to take on any challenge. Think outside the box: Think interdepartmentally, and keep your team on their toes. Try assembling a different pair or group than you have ever done before. Maybe you’ll find new strengths emerging. 86% of employees and executives cite lack of collaboration or ineffective communication for workplace failures. Speak up! How often does information get buried in a 49 message long email thread, or passing thoughts in a meeting were never solidified. Piece together meaningful information in an intuitive, transparent and inclusive way. Use a company intranet like Bitrix24 or Slack to keep comms tidy and at the forefront of everyone’s to-dos. Think outside the box: Another meeting isn’t always the answer, but sometimes an in-person tête-à-tête is needed. Have the team go on a midday nature walk, or errand to grab lunch. Naturally, communication will flow through the dividing silos that desks and headphones make. It can’t always be easy to not be a micromanager when half of that word is your title! However, the countless studies and reports on the negative effects of micromanaging can help us let go. An Accountemps study confirmed those who felt they'd been micromanaged, 68% said it decreased their morale, while 55% said it hurt their productivity. Step in when needed, but let your team know they have your full support and trust. 68% of employees who felt they'd been micromanaged said it decreased their morale. Think outside the box: Designate a leader of the group. Check in with just them about the project at a regular but realistic rate. If everything is running smoothly, don’t bother them! The team will come to you when they need. Few of us will ever compete for anything as grand as an Olympic medal. However, we all go through little competitions and judgements every week in our careers. Creating strong teams will build every one of its members up and up. By forming stronger teams, we build stronger people, brands and organizations. Use the month of the Summer Olympic Games to get you inspired for all the teams in your life.